This post is brought to you by BEHR. Color that’s True to Hue. If you feel it, you can find it. Visit True to Hue. Comments submitted may be displayed on other websites owned by the sponsoring brand. Hubby and I are getting our house ready to put up for sale, and we have been exploring every avenue to update it and make it more appealing. So far, we’ve done the master bathroom, created a custom closet, and built a pergola for the back porch, but we knew there had to be more that we could do. Aside from adding shrubs and flowers to the front landscaping, we decided to update our plain, boring porch, by painting it! 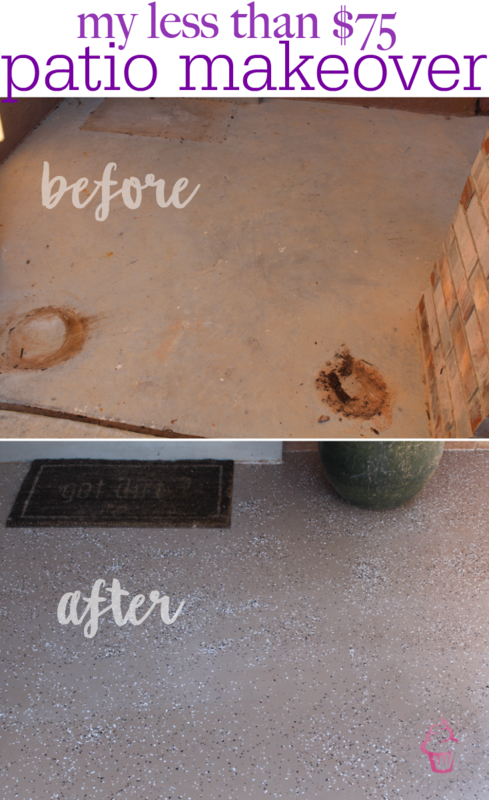 And of course, we wanted to do it on a budget, so, we decided to partner with BEHR Paint to create this super easy front porch makeover! As you can see, our porch was pretty atrocious in this before pic, with rust stains from planters, not to mention, pretty boring looking. I think this is what made it perfect for this project, so we were excited to get started! The first thing you need to do is clean the porch. 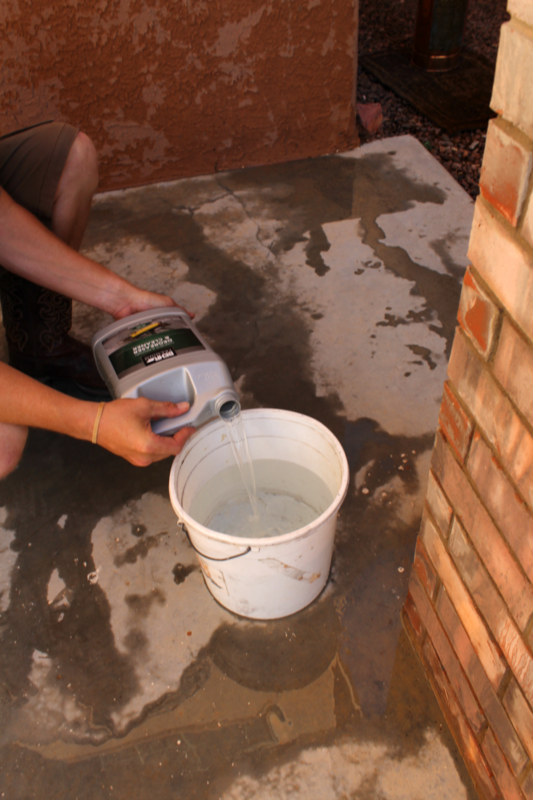 Move everything off the surface, sweep it, and if you can, pressure wash it to get it ready to degrease & clean. 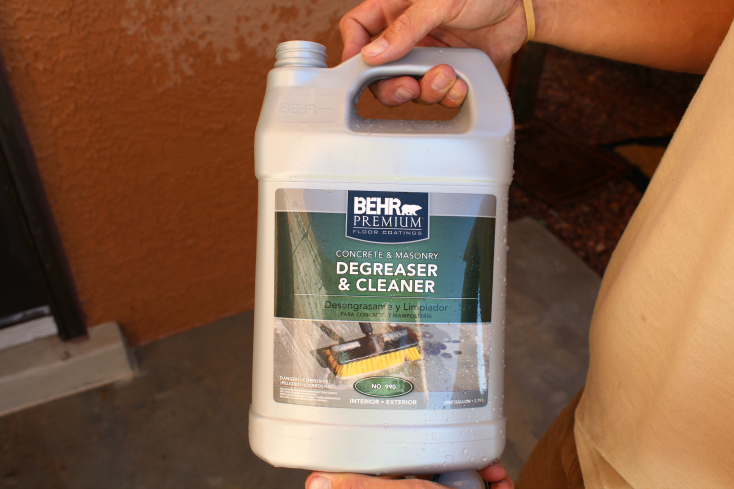 Mix together 1 quart of BEHR Premium Degreaser & Cleaner with 1 gallon of water in a big bucket. Apply the mixture to the surface and allow to sit for about 20 minutes to help loosen up the stains. 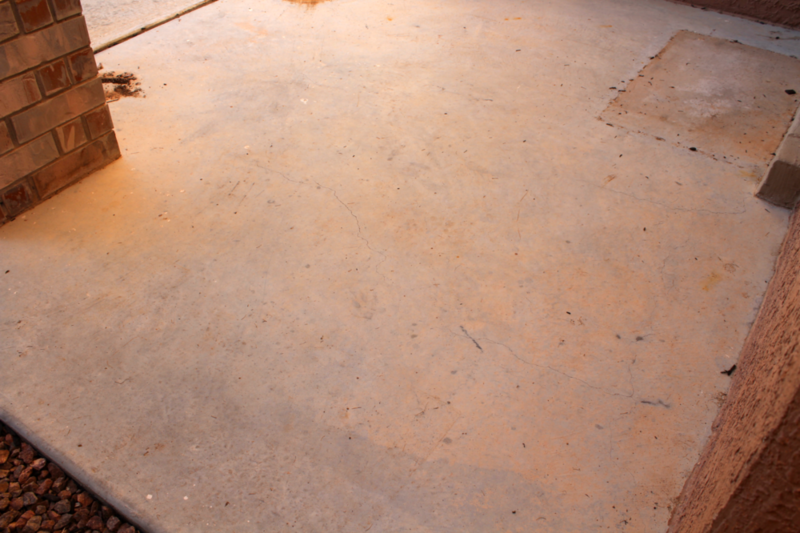 Scrub the concrete with a stiff bristled, non-metal brush or broom. Allow the area to fully dry. Tape off edges that you don’t want to get paint on. 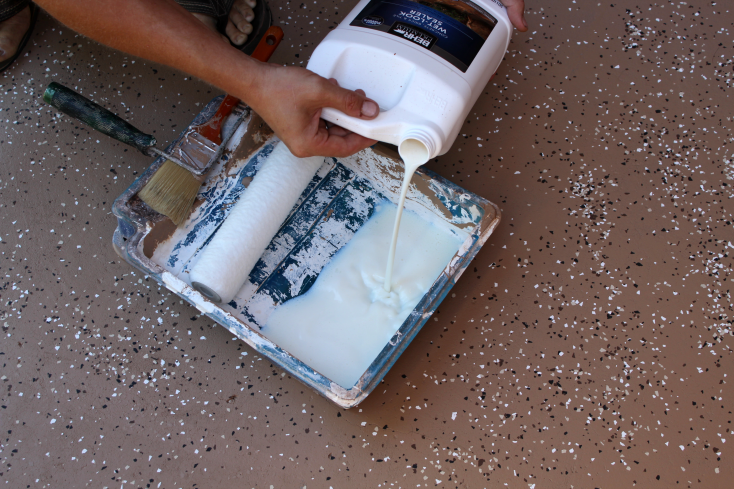 For painting the porch, we used BEHR PREMIUM®’s 1-Part Epoxy Concrete & Garage Floor Paint in “Pyramid” with BEHR PREMIUM Decorative Flakes. We decided that this combination would add character to the walkway. 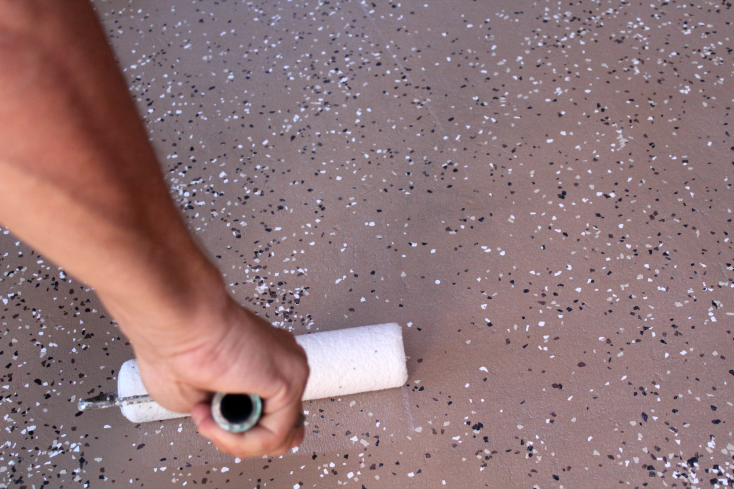 Using a roller, apply the paint to the surface, and sprinkle flakes randomly. We only applied one coat because we didn’t want it too dark. And don’t worry, the lines you see above (where one ends and a new coat begins) will blend into each other when it dries 😉 Wait 24 hours to allow to dry completely. 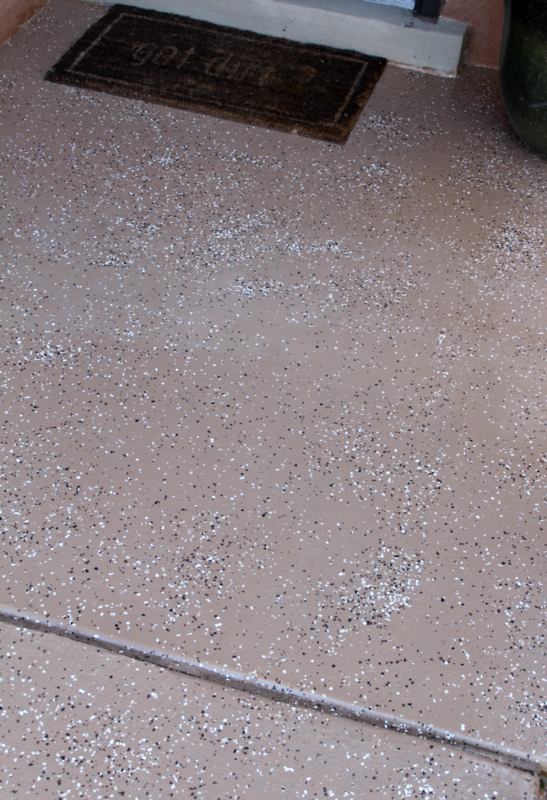 We applied BEHR PREMIUM Wet-Look Sealer to help make the flakes and color stand out more. No diluting necessary. This is how it looks after! We are very pleased with it. Now all we need to do is the trim (where the concrete meets the house) and get some patio furniture and we’ll be all set! 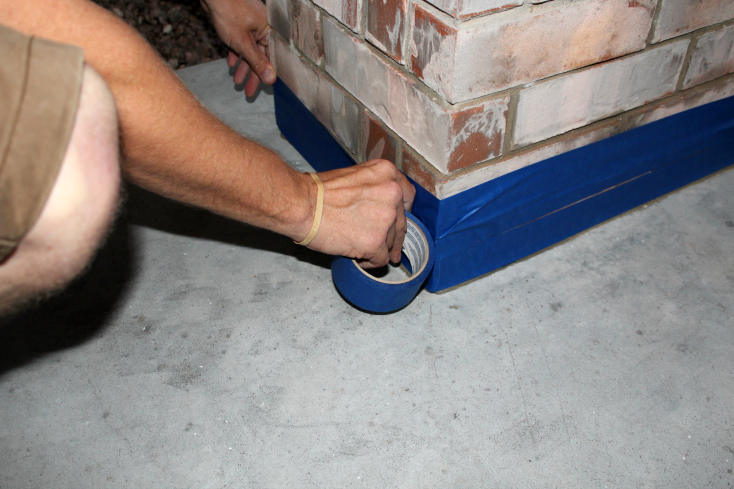 See how easy it is to give your front entryway a makeover? 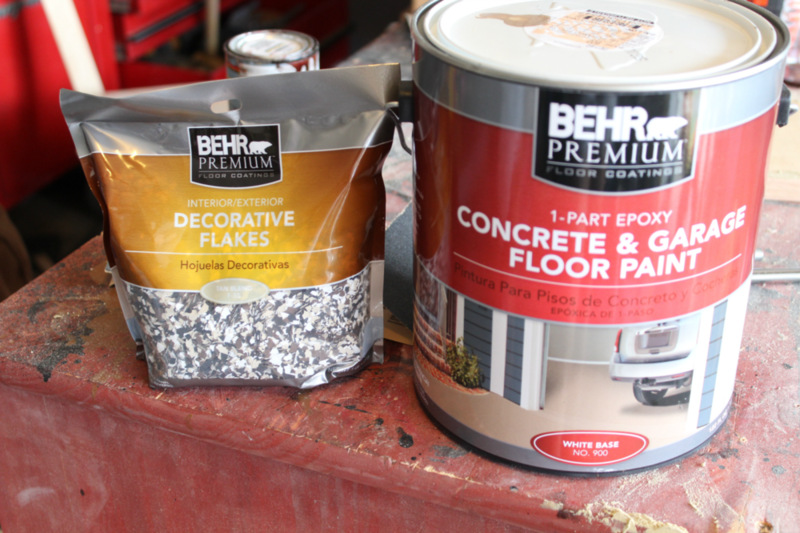 BEHR Paint makes it possible, so have a look at their full line of floor coatings here. 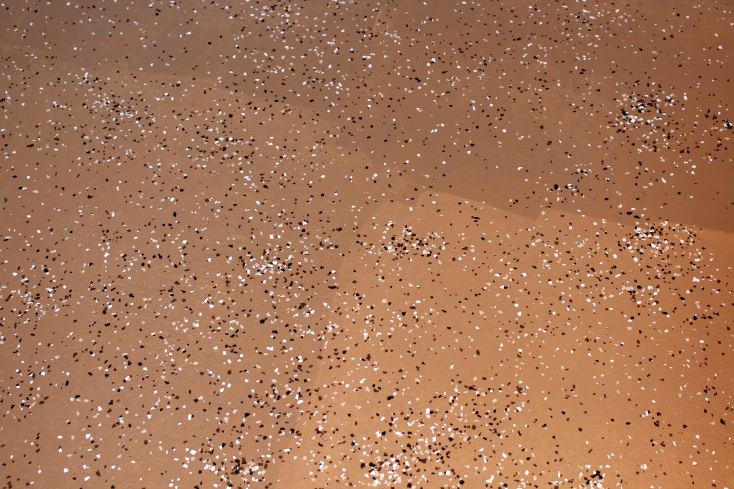 How did you distribute the decorate flakes? That’s the part I’m nervous about – I’m buying a house that needs a porch and patio make over (old ugly concrete). Just came across your post. That looks great! My question is about the epoxy you used. Did it make the concrete slippery? I want to use this in my garage and back patio but I’m afraid of it being too slippery when it rains. Thank you in advance for your response! Claudia – nope, not slippery at all. I think “throwing” down the chips is what helps give it some traction 🙂 You will be fine if you follow my steps!